With 9 channels of power, Yamaha's flagship AVENTAGE RX-A3070 offers the most flexible home theatre and multi-room entertainment options, along with top-quality, high-impact sound for movies and music. Dolby Atmos and DTS:X bring movie soundtracks to life with incredible realism. 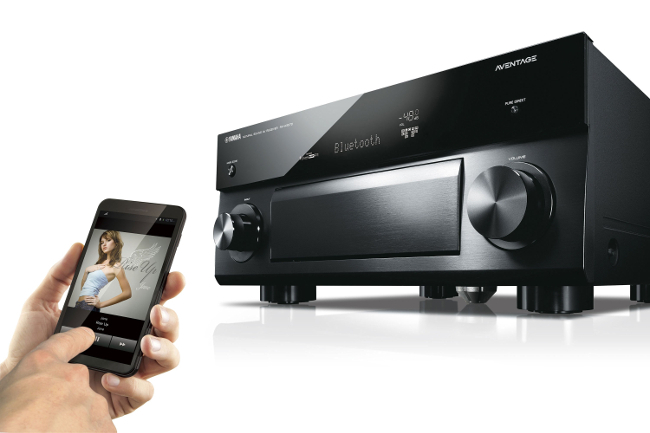 This receiver also lets you enjoy 4K Blu-rays and streaming content on up to two compatible displays. The RX-A3070 can play different high-resolution audio formats through the front-panel USB port or from a networked computer. And if you're into vinyl, a phono input provides an easy connection for your turntable. This receiver ticks all the boxes for us. The RX-A3070 is a seriously talented AV receiver. It will take your home cinema experience to a whole new level. Available from S&I. Click here for more information.